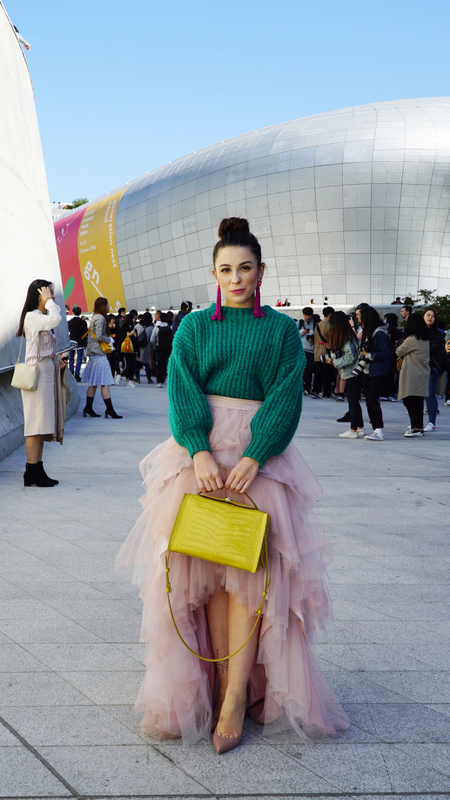 The shows are amazing at the 2019 S/S Hera Seoul Fashion Week, but the fun spills out to the streets. 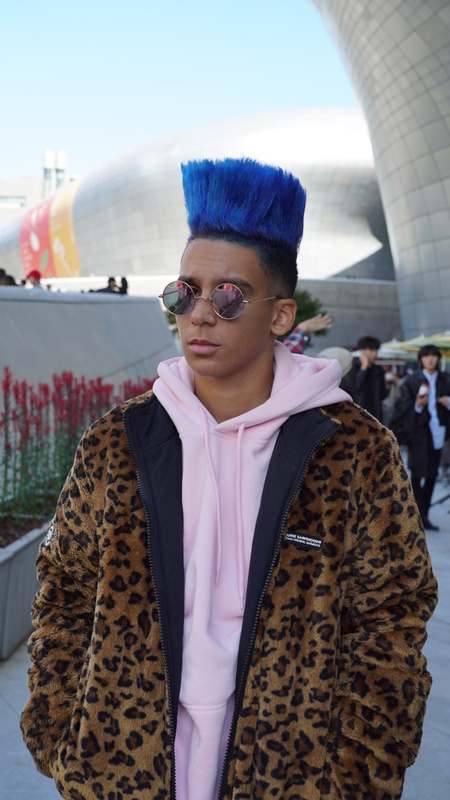 Brightly dyed hair was a visible trend at Dongdaemun Design Plaza on Friday, alongside see-through blouses, neon tops and transparent plastic bags. 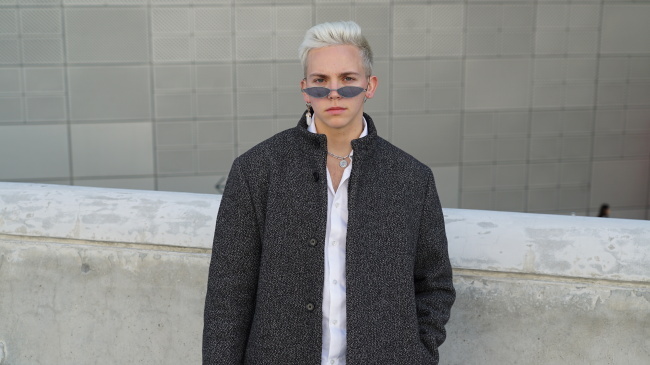 Oversized jackets, baggy pants, leopard print and fashionable eyewear also drew attention. 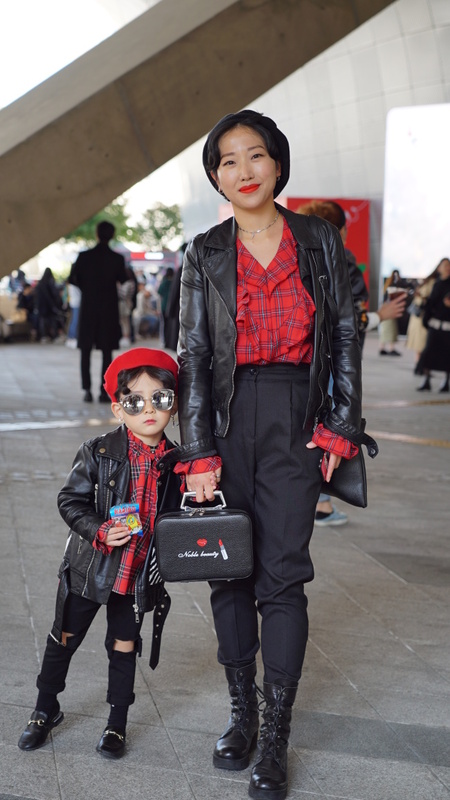 Korean parents who take pride in their fashionista children brought out their young ones to show them off to the world. Park Ryul, 5, came wearing a pink sweater over a white shirt, with rolled-up loose jeans and carmine boat shoes. 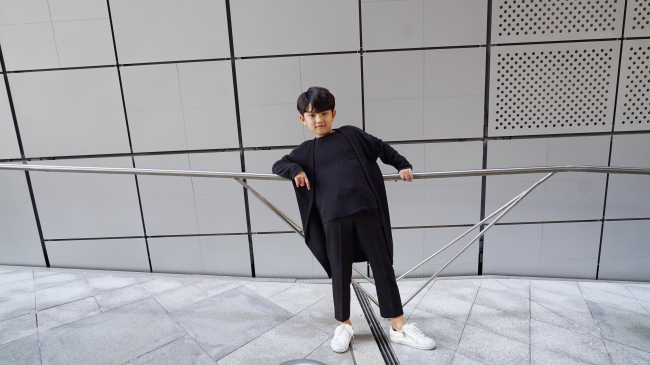 Having worked as a model for kids’ apparel since he was a year old, Park had the cool stare of a professional. His mother had applied a hint of blusher on his plump cheeks to match the pink of his sweater. “I dress my boy and my girl with the same clothes. 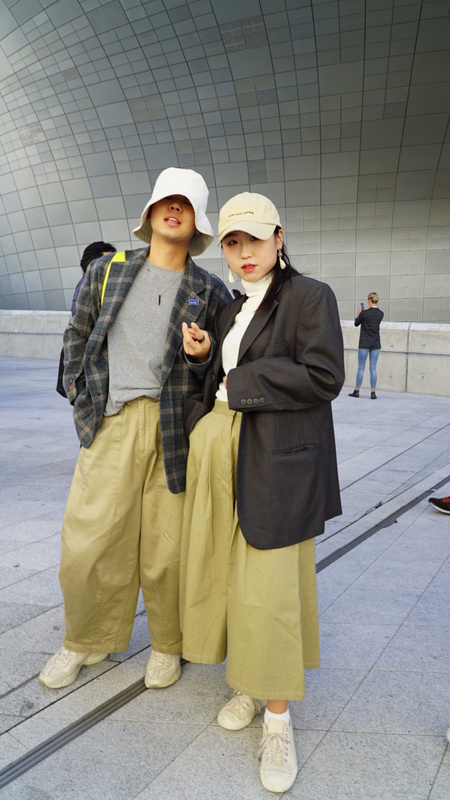 I don’t think mothers would insist on blue for the boys and pink for the girls anymore,” said Park’s mother, who said she came from Gyeonggi Province to take photos of her son at the fashion week. Another mother came wearing matching clothes with her son. There was also a group of little children dancing to K-pop choreography and posing in groups.